Aaron Lewis is a great musician, songwriter, and from his songs you can tell he’s probably a great dude to grab a beer with. It is no surprise that his personality is on his sleeve as we’ve seen in previous songs by his band Staind. 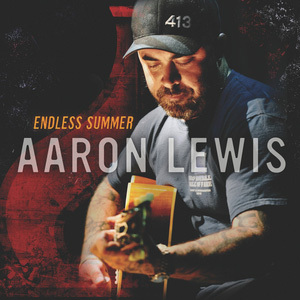 This time we see a different side of Mr. Lewis in his song “Endless Summer” off his upcoming solo debut, The Road which is set to be released on June 26th. The album is going to be the follow up to Lewis’ amazing 2011 debut solo EP Town Line which entered the Billboard Country Albums chart at #1. The track is put together very nicely, and produced by James Stroud. The sound is very up-beat, a real contrast to his other solo material, and his material with Staind. The song starts off strong with a very complex riff, which leads to a verse that features a strummed acoustic with sporadic lead breaks. The chorus like many other country songs features various instruments weaving in and out. The song has a really good chance of being 2012’s summer anthem with it’s catchy chorus. If you listen to the lyrics you’ll get a kick out of Lewis’ carefully placed jab when he sings “Aldean’s on the radio / Aint it funny how they sing along / Makes you smile just a little bit because it’s not a Miley Cyrus song”. You also get the authentic country feel with lyrical topics including fishing, grilling, and cars. Aaron Lewis is one of the only artists I can think of besides Darius Rucker who can authentically pull off a crossover country career. Check out this album as I’m sure it will be packed with great tunes, and if you haven’t already you should check out Lewis’ debut EP Townline. Agreed. Do you like Staind? It’s his main band.